I am, unashamedly, completely obsessed with podcasts. One-on-one interviews, panel discussions, advice podcasts, investigative journalism, serialised narrative audio non-fiction... the list goes on! Recently I stumbled across The Glossy Podcast, and I have since binged on almost every episode. 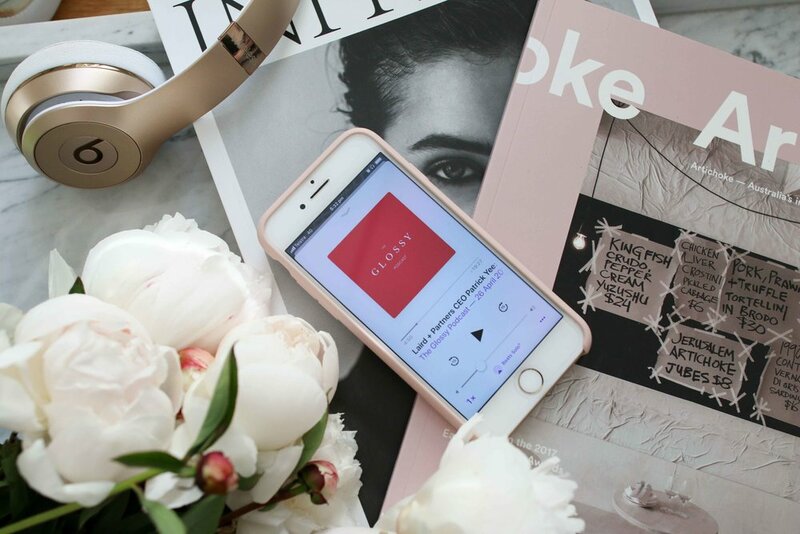 The podcast looks at how technology is changing the fashion, beauty and creative industries. Each episode usually features a guest who may be taking their tech to the fashion industries or a fashion company embracing tech (or explaining why they are not). The interviews are insightful, interesting and relevant to not only those in the creative industry, but anyone interested in how tech is disrupting the status quo.